F irst organized by Tate Modern and recently on view at the Crystal Bridges Museum of American Art and the Brooklyn Museum, Soul of a Nation: Art in the Age of Black Power 1963-1983 has finally arrived to the Broad Museum in Los Angeles. 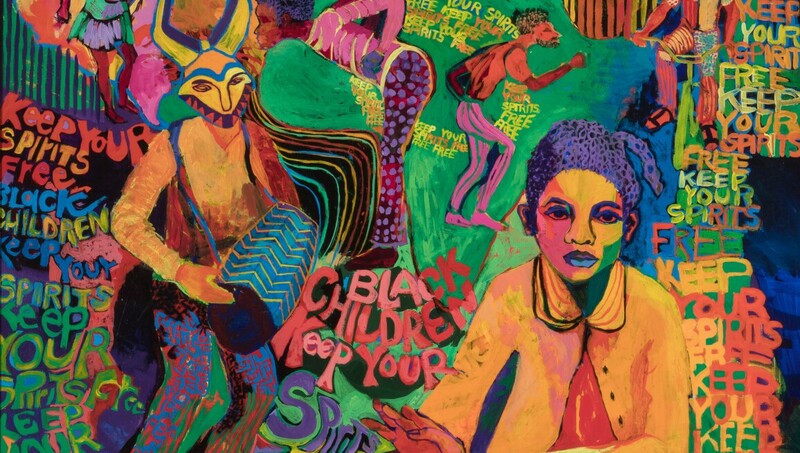 A survey of over 200 artworks created by more than 60 African American artists, Soul of a Nation provides crucial context to one of the most revolutionary art movements in Los Angeles's history. The exhibition, sectioned off by geographical regions and artistic developments, spans from 1963 to the early 1980s. Spread across more than ten galleries, Soul of a Nation showcases a broad stylistic range, from figurative to abstract painting, in addition to the formats of assemblage, photography, sculpture, and performance. The comprehensive exhibition reveals aesthetics across geographic regions and political events — resulting in an insightful display that Sotheby's is delighted to sponsor. Above, preview the show's highlights. Oil, acrylic and aluminum leaf on linen canvas, 59 1/2 × 48 in. © Estate of Barkley L. Hendricks. Courtesy of the artist’s estate and Jack Shainman Gallery, New York. Superman S-Shield © & ™ DC Comics. Used with permission. Acrylic on canvas. 49 x 51 x 2 in. Image courtesy of the artist. © Carolyn Mims Lawrence. Printed by 1979. Photograph, gelatin silver print on paper. 20 7/8 x 18 7/8 x 1 1/4 in. © Dawoud Bey. Paint, foil and ink on cardboard. 36 1/4 x 25 9/16 in. Collection of the Smithsonian National Museum of African American History and Culture. Courtesy of Jameela K. Donaldson. © Jeff Donaldson.